Cooking a turkey can be a challenge, even for those who do it regularly for special occasions. This is one of the reasons why the best turkey roaster oven is invented. Designed to function as a conventional oven in a compact format, this appliance can definitely make things easier for you. 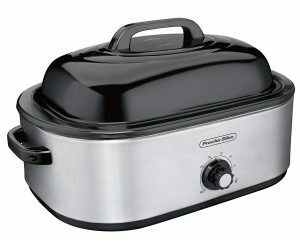 If you’re not familiar with turkey roaster ovens, you’d think that it’s just a gimmick that will leave you disappointed. However, with more and more experts weighing in on how useful this appliance is, it’s also easily proving its worth to the public. The best part about turkey roaster ovens is that they’re also multifunctional. They won’t just roast your turkey but it can also let you steam, bake, and slow cook. All of these make it an even more attractive option for a new kitchen addition. Interested in what it can offer? This roundup can help you learn more about this product. How to Cook a Turkey in a Roaster Oven Overnight? Make sure to thaw the turkey properly before cooking it with a roaster oven. If your turkey is still frozen inside, it won’t cook properly so ensure to do it properly. Brining is also recommended for overnight cooking so you can lower the odds of drying out your fowl. Here’s where you should also start rubbing seasoning into the turkey as well as add stuffing. 2. Prepare the roaster oven for cooking. Remove the roasting pan and heat oven at about 325F. Place the turkey into the roasting pan and then inside the roasting oven. Cover the roaster and then adjust the temperature control to the highest setting. Leave the oven to cook for about 30 minutes. 4. Adjust the heat settings to 300F. After 30 minutes, lower the heat setting to prevent the turkey from drying out. Leave it to cook until done which can take a few hours. Note, however, that roaster ovens usually cook faster than conventional ovens, so if you want to cook your turkey overnight, you should use lower temperature settings. This will let it roast for a bit longer without charring its skin and drying out the fowl. Don’t worry about adding water, though, as it’s not recommended. The hot steam might even burn the skin, so it’s better to rely on the fowl’s juices instead to keep it moist. How Long to Cook a Turkey in a Roaster Oven? If you don’t intend to cook overnight in a roaster oven, you might be wondering how long will it take you to whip up a special dish with the help of this appliance. As mentioned above, roaster ovens typically cook faster than conventional ovens so do not use the numbers you have for your oven when roasting with this appliance. According to experts, you should cook a turkey in a roaster oven for 8 minutes for every pound of the turkey you’re cooking. So if you have a 20-lb turkey, you should cook it for at least 2 hours and forty minutes. If you want to make sure that the fowl is thoroughly cooked, you can also use a meat thermometer to check. The ideal internal temperature of a roasted turkey should be 165F to 180F. With its smaller size and good heat regulation, it shouldn’t be surprising that roaster ovens can be a faster method of cooking a turkey. Some people actually opt to get one of these appliances for this very reason. 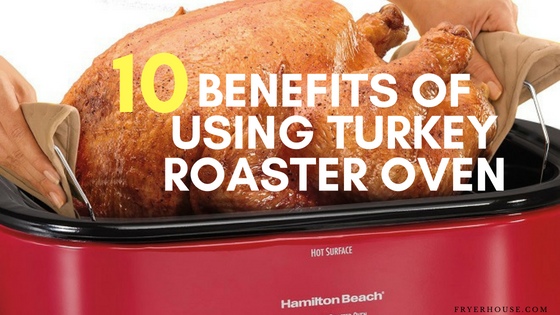 It can save you from leaving your oven turned on the whole night or having to get up in the wee hours just to cook a turkey. 1. It can free up your oven for other dishes when you need to cook up a storm. 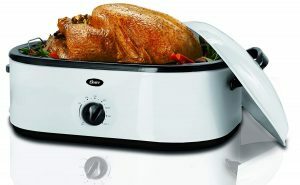 If you often cook for large groups, a turkey roaster oven will let you use your oven for other dishes. Instead of waiting for the turkey to cook before you can put in your sides, casseroles, and other dishes inside the oven, you can multitask and cook them all in one go with a roaster oven. 2. 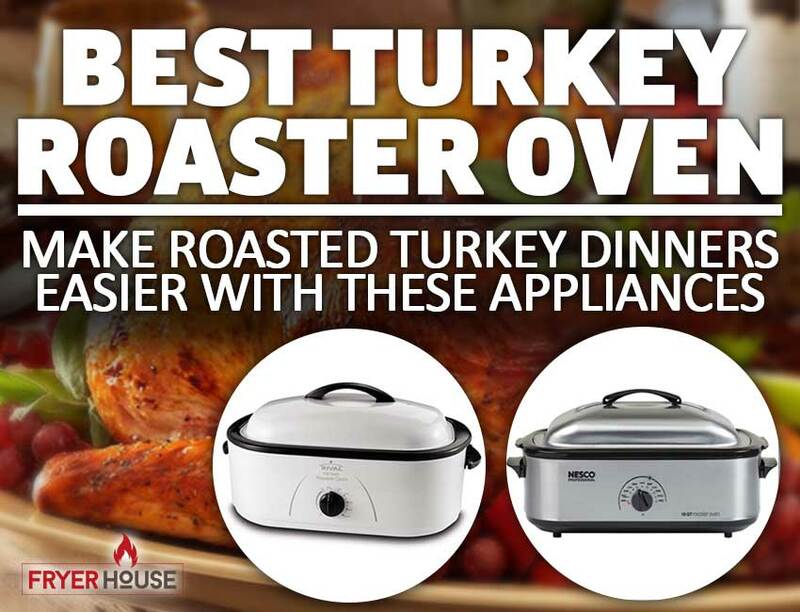 It can let you roast a turkey without having a full kitchen. A turkey roaster oven will let you roast a large fowl at home even without an oven. So if you have limited space or your small apartment doesn’t come with an oven, this appliance can be a great thing to have. 3. It will let you cook a lot of food efficiently. If you don’t have a lot of time to spare to cook up a large meal, a roaster oven can be of great help. It might just help you cut down your cooking time nearly in half with the right techniques. 4. It’s a versatile cooking appliance. As mentioned above, a roaster oven won’t just let you roast meats and vegetables. It can also do other tasks like steam and bake so you can make a lot of things with its help. 5. They’re very easy to use. With most roaster ovens, all you really need to do is to turn the temperature knob to start cooking. Most units have self-basting lids so you don’t need to pop the oven open every 20 minutes to baste. 6. You won’t need to buy expensive roasting cookware with a turkey roaster oven. Not a big fan of having to buy so many pots and pans? This appliance will let you roast your favorite meats without having to buy special cookware. 7. 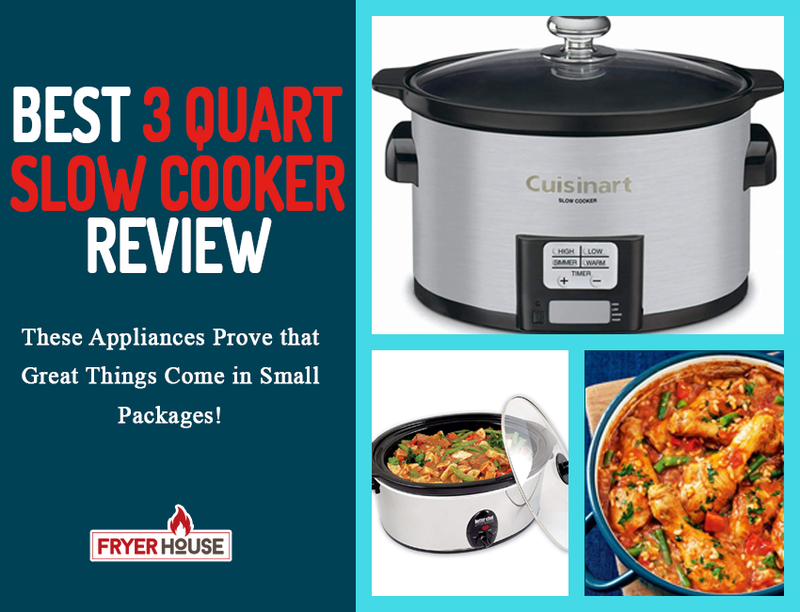 They’re more affordable and portable than conventional ovens. Again, no conventional oven, no problem. A turkey roaster oven is more affordable than its traditional counterpart so they can be great alternatives. 8. Unlike actual ovens, roaster ovens won’t heat up your kitchen. If you love roasted meats but hate it when your oven heats up your home in the warmer months, a roaster oven can still let you make roasts without the same effects. 9. Roaster ovens cook meat faster than conventional ovens. As mentioned above, roaster ovens’ smaller size makes it capable of cooking meat faster. So if you don’t want to spend hours cooking your turkey, this can be a good solution. 10. It can let you whip up healthier dishes. Roasting is considered as a healthy cooking method. Sure, there are some recipes that aren’t the healthiest, but there are lots of good roasted dishes that you can whip up without damaging your health, so it’s still a great thing to have a roaster oven at home. 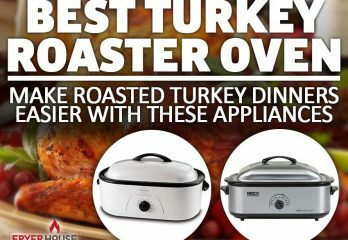 Starting off this list of the great turkey roaster ovens is one of the classic and popular picks online today, the Oster Turkey Roaster Oven. 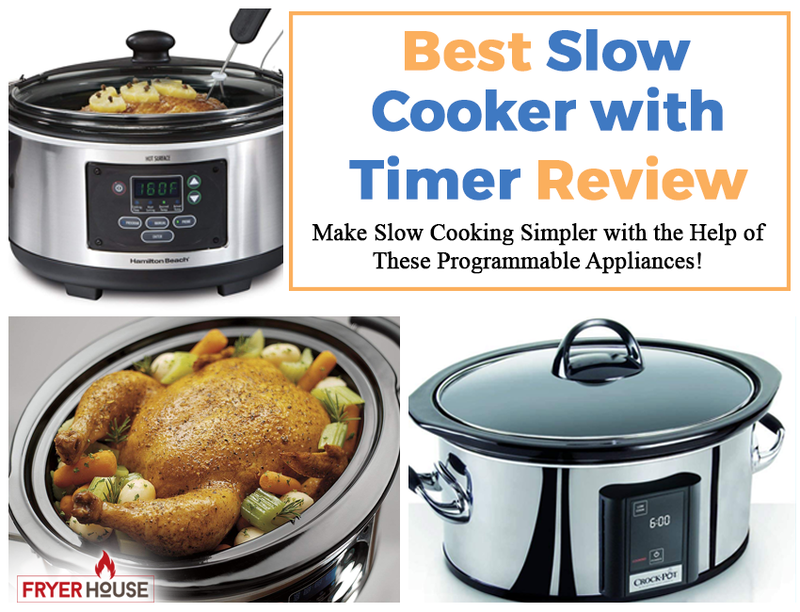 This product has everything most home cooks look for in this kind of cooking appliance as it’s very affordable, easy to operate, and multifunctional. It can accommodate large fowls that are up to 26 lbs or up to 22 quarts of food. A lot of people grew up with a Nesco roaster oven sitting proudly in their kitchen. 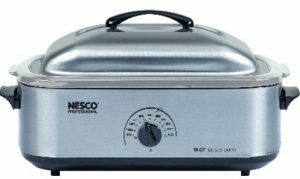 This is why it shouldn’t be a surprise that the Nesco 481825PR Professional Stainless Steel Turkey Roaster Oven is still a popular pick for such appliances today. Aside from the brand’s legacy, this product also offers the great performance and versatility that the most discerning buyers are after. 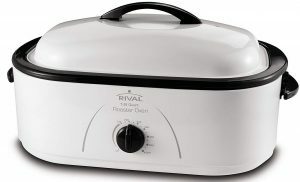 Those who love hosting dinners at home will find the Rival Roaster Oven a nice addition to their kitchens. It can certainly extend the functionality of your kitchen not only because it adds another cooking equipment. What makes it a must-have for households who love having guests over is its “keep warm” function. This guarantees that your food will stay delectably warm and ready for consumption for up to six hours after cooking. Some people also get roaster ovens because they’re easier to work with. They allow countertop cooking so there’s no need to bend and reach, making it easier on some folks’ backs and hips. The Proctor Silex 32191 is a good option if you’re in this very situation as it is designed to be very easy to use. With an easy lift roasting rack and domed lid, it will be easier to cook and handle large fowl in this appliance. 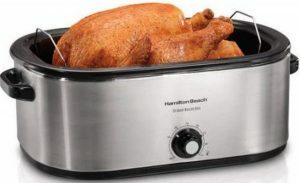 Another well-rounded countertop cooking appliance is the Hamilton Beach 28 lb 22-Quart roaster oven. 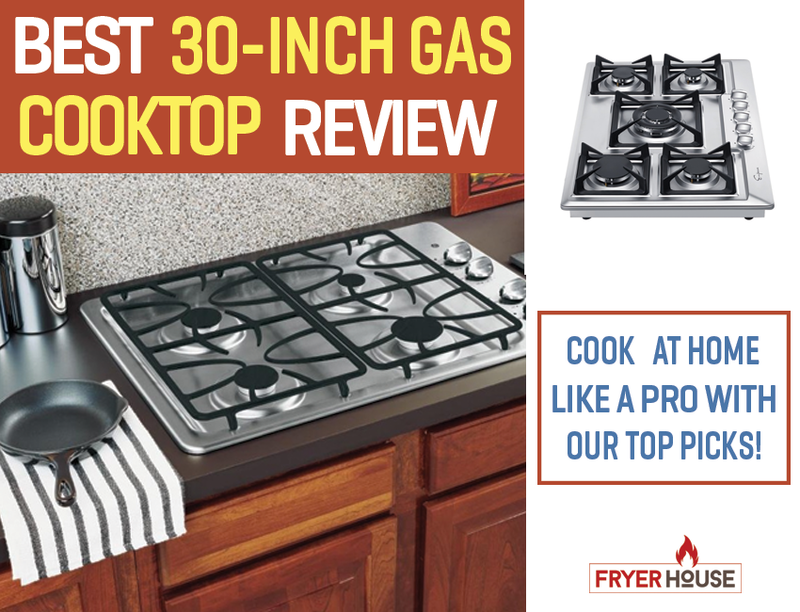 What makes it stand out, however, is its large cooking capacity. It can accommodate up to a 28-lb turkey which can help you cook enough food for a large celebration. If you’re worried about handling a lot of food, don’t be. Its lift-out rack guarantees that you won’t have difficulties in using it. 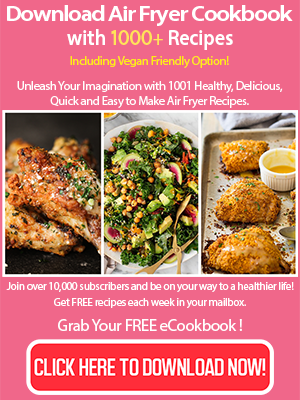 One look at the Oster Smoker Turkey Roaster Oven and you’ll know that this cooking appliance is not your typical, run-of-the-mill kitchen product. Aside from its striking appearance with its red color, it also offers something different from other roaster ovens. With the addition of removable wood chip pockets into its cookwell, it can also let you enjoy smoked flavors with your choice of meat. So this appliance doesn’t just roast, slow cooks, bakes, and serves, it also smokes which can further extend the functionality of your kitchen. 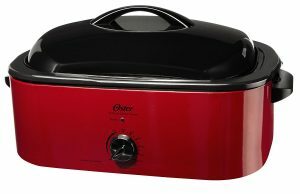 Another excellent pick for those who love having guests for dinner is the Oster Roaster Oven with Buffet Server. 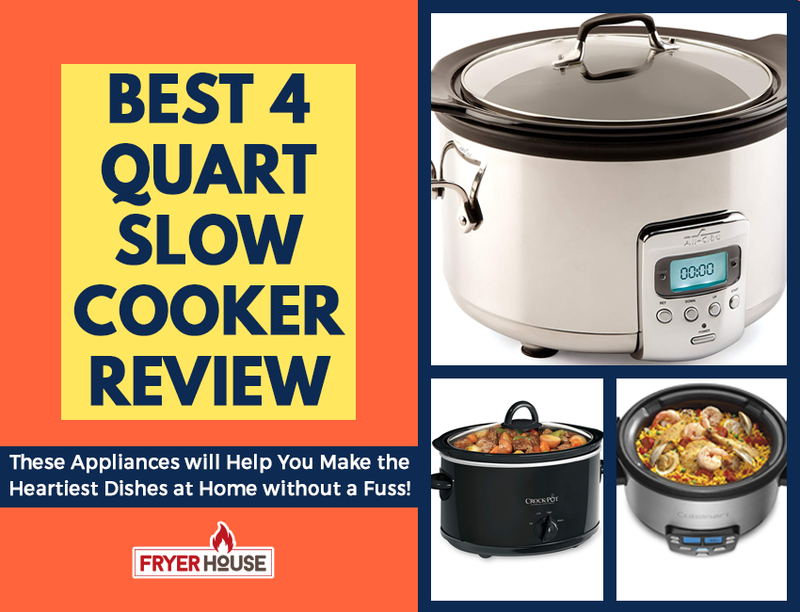 As the name suggests, it’s not just a roaster oven and slow cooker but it also functions as a buffet server. With the help of the included enamel-on-steel buffet tray inserts, you can turn this cooking appliance into a food warming station. The Weston 22 quart Stainless Steel Turkey Roaster Oven is another large-capacity pick that you can opt for if you need a large roaster oven. It doesn’t just roast meat but also bakes, cooks, and serves, thanks to its various cooking capabilities. 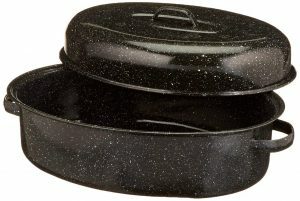 Also available in an 18-qt size, this product can help you explore more ways to expand your culinary abilities. 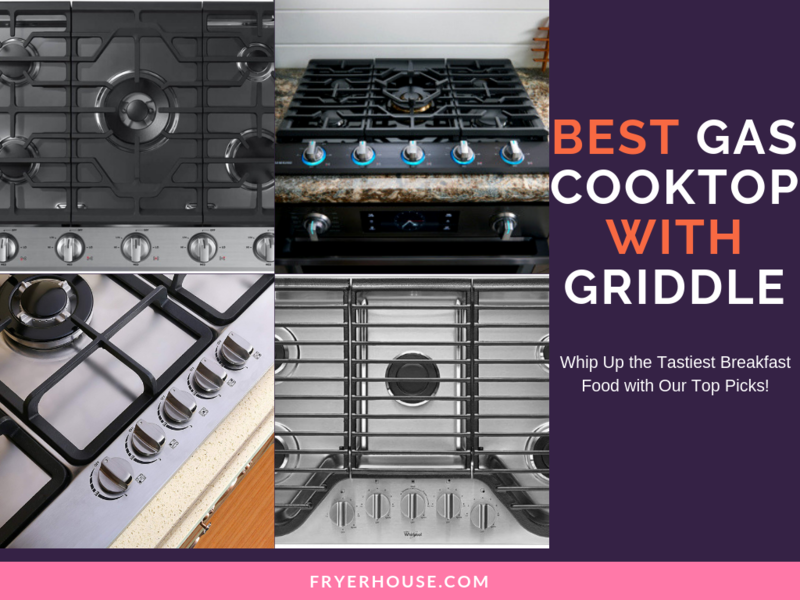 While the Granite Ware 18-Inch Covered Oval Roaster isn’t a roaster oven, it’s still worth including in this list because of its highly notable performance. It’s a classic popular pick for those who want to make the perfect roasts, so it’s definitely worth looking into if you have a conventional oven. Made in the USA, it’s sturdy and durable construction can guarantee that you can make lots of amazing roasted dishes with its help. 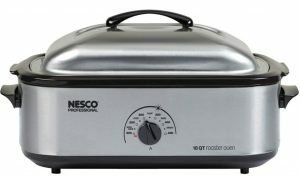 Last but not the least is another product from the popular roaster oven brand Nesco, the 4818-25-20, 18-Quart Stainless Steel Turkey Roaster Oven. This multifunctional appliance has various functions as it roasts, slow cooks, and bakes among many others. 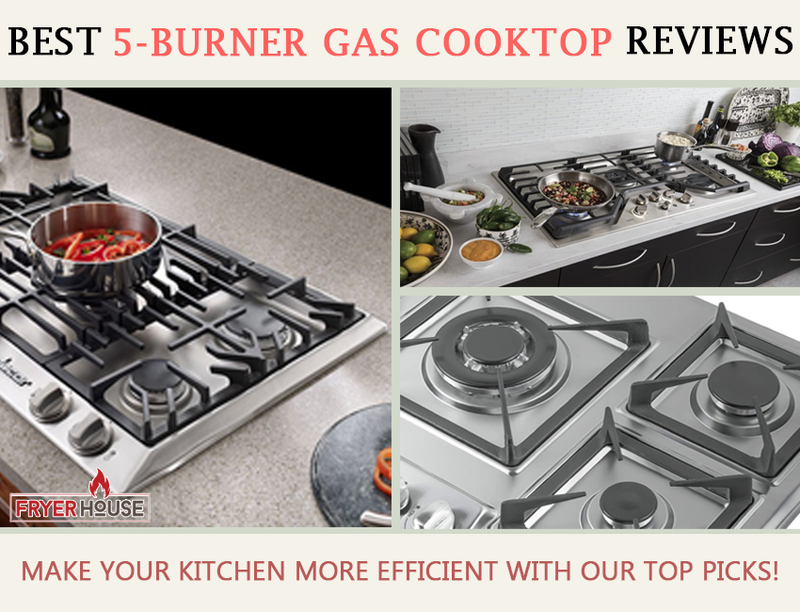 With its patented Circle of Heat technology, it guarantees great results without you having to slave away in the kitchen. Thaw your turkey hours or days before the day you intend to cook it. Take out the roasting pan and preheat your roaster oven according to the manufacturer’s instructions. Prepare the turkey by rubbing salt in or by brining it. This is also the time to stuff it if desired. Rub the entire bird with butter or olive oil then rub in some seasoning. Prepare the roasting pan by inserting the rack the correct way. Make sure that the lift handles are up for easy removal once the turkey is ready. Place the turkey in the roasting rack and then inside the pan and the cookwell. Cover with the lid. Cook for 30 minutes in the highest heat setting then lower it to 325F. Most roaster ovens have self-basting lids so do not open the lid while the turkey is cooking. Cook until the internal temperature of your fowl reaches 180F. Scrub potatoes and make holes using a fork. Preheat the roaster oven at 400F. Place the potatoes on the roasting pan rack. Make sure that they won’t touch the sides of the pan. Bake for 1 hour and 15 minutes or until the potatoes are soft. Preheat the roaster oven to 425F. Lightly spray cooking oil on the cookwell. Place the meat inside the preheated cookwell then add the garlic and onion. Cover the roaster oven then cook for 15-20 minutes. Stir once. Add in all of the remaining ingredients and stir well. Adjust the temperature setting to 350F. Cover and cook for 1 to 1.5 hours or until the flavors blend. 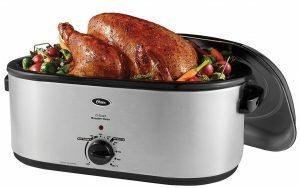 Buying Guide – How to Choose the Best Turkey Roaster Oven? 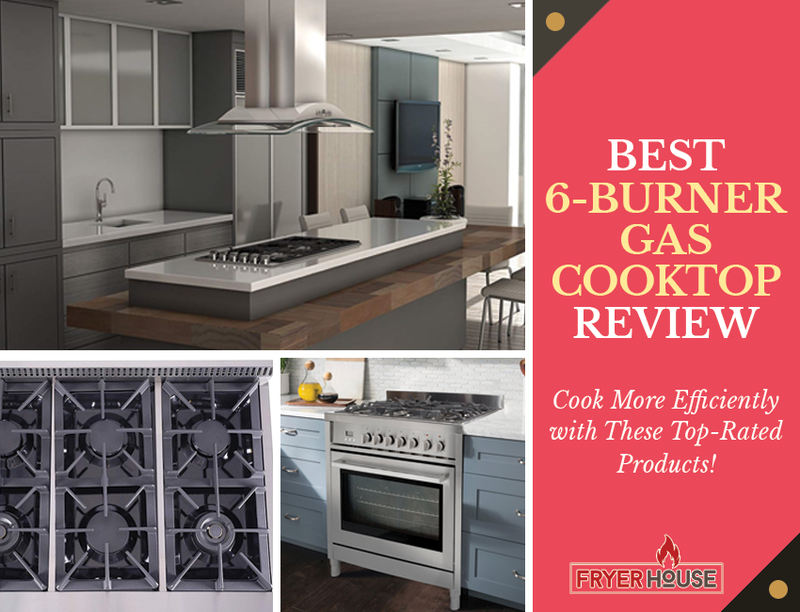 Now that you know the basics about these appliances, the next thing you might want to know is how you can choose the best roaster oven available. Size seriously matters when it comes to turkey roaster ovens because they need to be big enough to accommodate large birds to fulfill their purpose. Make sure that what you’ll get has enough room for the turkey size that you usually serve at home. Aside from its cooking capacity, you should also make sure that the unit you’ll get will fit your countertops. These appliances can take up a substantial amount of space, so you should also make sure that your kitchen will be able to accommodate the unit you wish to get. Like with everything you’re about to pay good money for, you should also very particular with the quality of the roaster oven you want to get. Pay close attention to the materials used and its construction, especially the parts that touch the food. Be very discerning about how the cook well and lid are made as these can determine the durability of the unit. What’s great about roaster ovens is that they’re usually very affordable. However, you might still want to make the most out of your hard earned money so it’s best to look for something that will give you bang for your buck. Reading reviews will help you learn more about these products so you can better weigh your options and find your perfect match. To make sure that you’ll get a lot out of your purchase, make sure that the roaster oven you’re eyeing is capable of doing other tasks aside from roasting. Single-use appliances do not get a good mileage if you don’t use them often, so some might find them wasteful. Most roaster ovens are capable of steaming and baking, though, so this shouldn’t be a major problem. 5. Be particular about its temperature settings. The best turkey roasters should have a wide temperature range so you can cook various ingredients in it with ease. 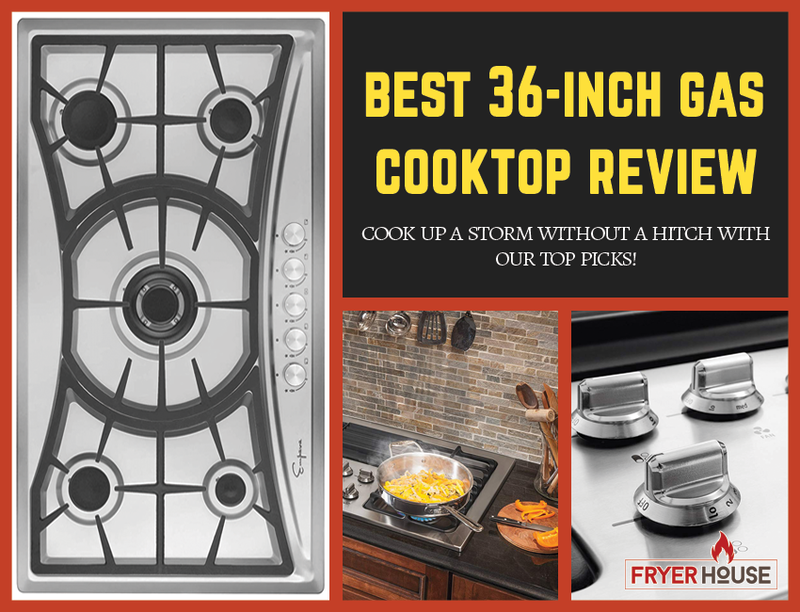 A quick search online and you’ll find people who once thought countertop cooking appliances can’t deliver the same results as a conventional oven retracting their statements after using the best turkey roaster oven. 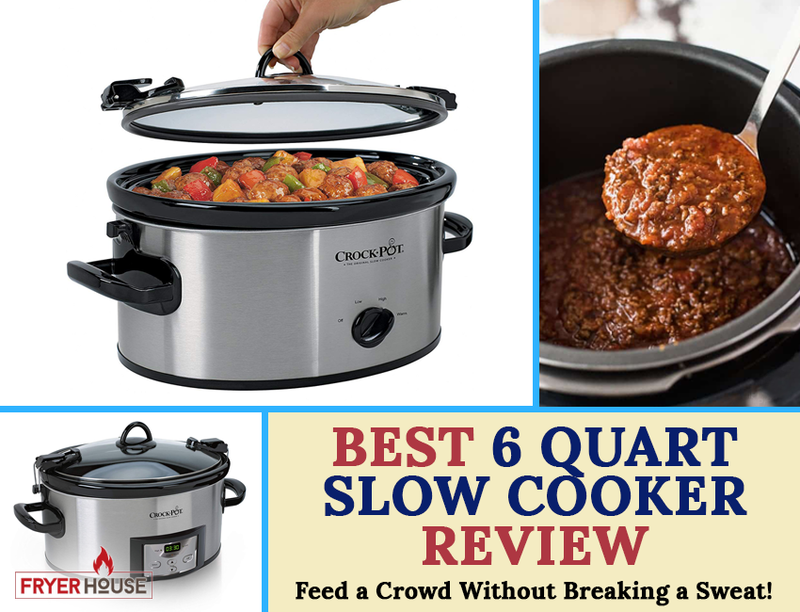 Proven to be convenient and reliable, they give home cooks more ways to whip up a feast. Give one a go and you might just surprise yourself with how handy these items can be.